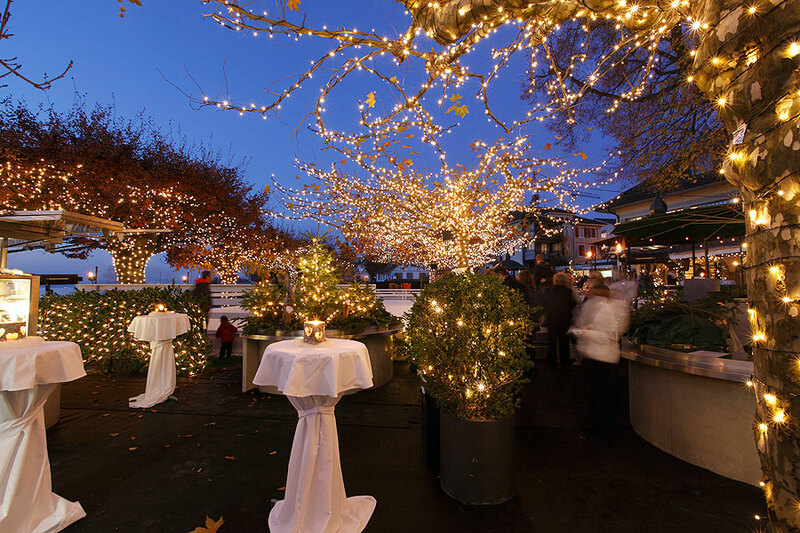 “Live on Ice” – the romantic ice rink in Küsnacht by Lake Zurich. 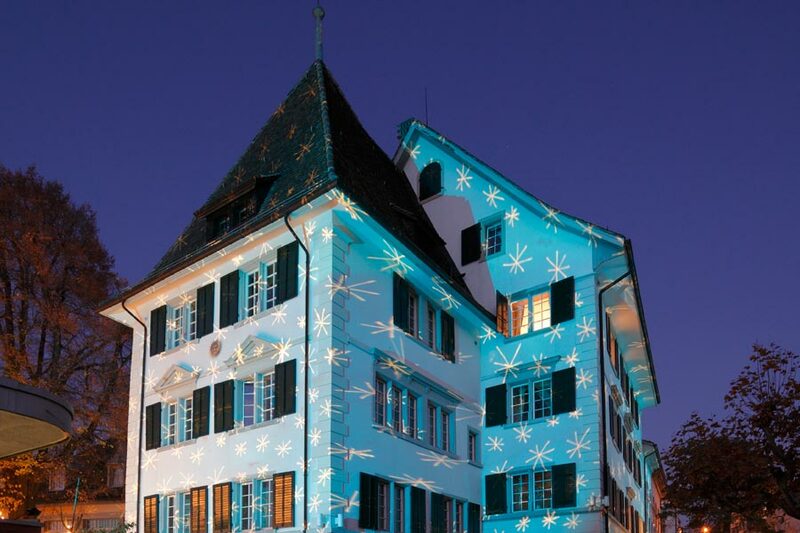 It's cold – the mist rolls across Lake Zurich and even from afar you can see the Romantik Seehotel Sonne – illuminated by the internationally renowned light artist, Gerry Hofstetter. 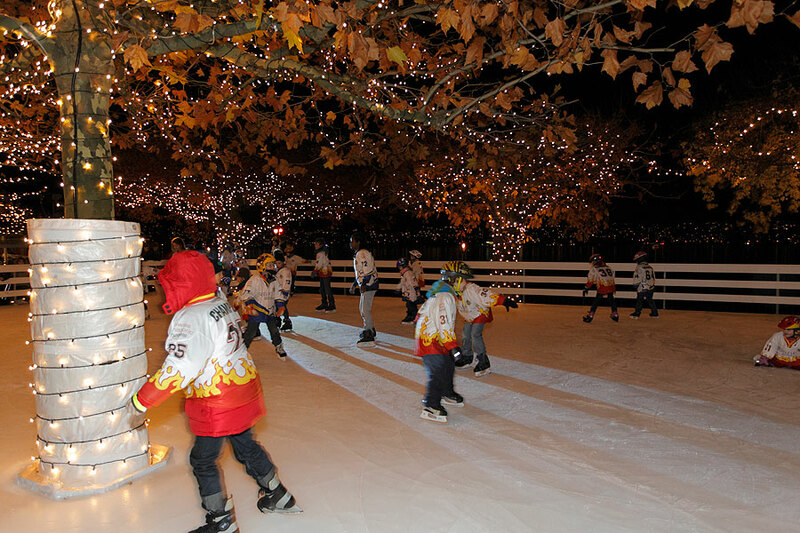 Right next to the lake you'll find our ice rink, where the children perform pirouettes, couples celebrate their love and people of all ages and sizes enjoy the light-filled atmosphere. You too can take to the ice and leave your everyday life behind. Afterwards, warm up at the mulled wine stand, enjoy a glass of champagne or treat yourself to a delicious meal in one of our restaurants or banqueting rooms. 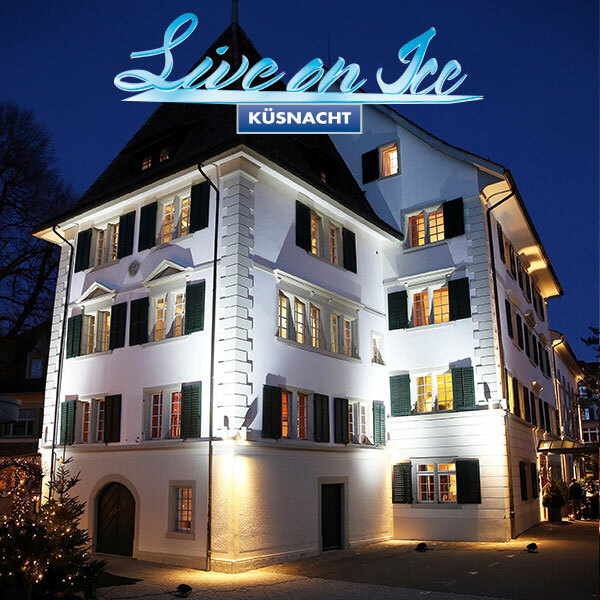 Live on Ice Küsnacht – our romantic ice rink by Lake Zurich is the perfect place to enjoy yourself with your family, friends or business colleagues! 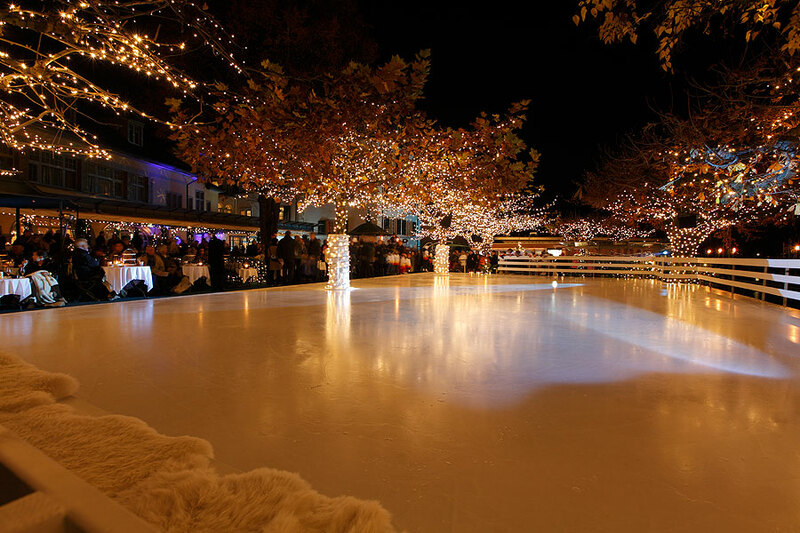 Use our “Live on Ice” rink in Küsnacht for an unforgettable private or business event on or next to the ice and enjoy the unique atmosphere. Whether you're planning a child's birthday treat, a Christmas celebration, an extraordinary corporate event or an extravagant birthday party, the options are (almost) endless! Please contact our Banquets office between 9.00 a.m. and 6.00 p.m. by telephone on +41 44 914 18 18 or by email: info@sonne.ch. Karin Gerber, Conference and Banquet Sales Director and Katja Moesli, Banquet and Conference Coordinator look forward to advising you in person. 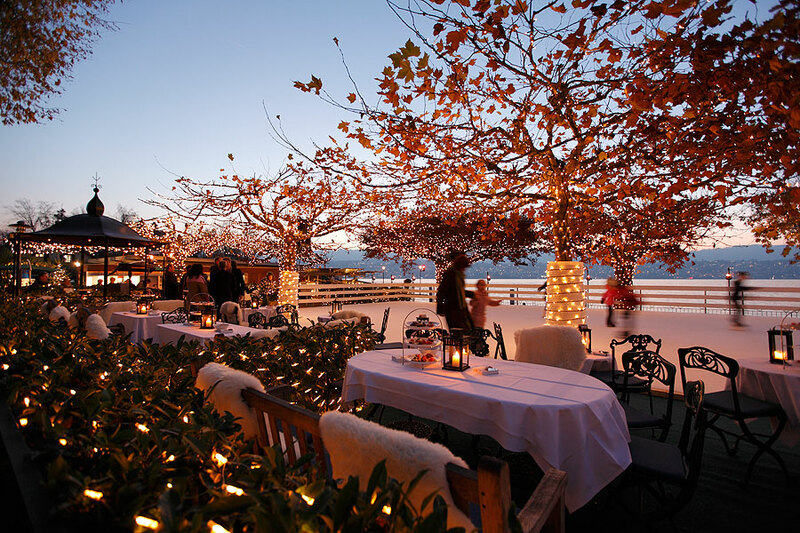 The hotel has an elegant restaurant Sonnengalerie overlooking the ice rink and the lake and the cozy Dining Rooms. A table reservation is recommended. Romantic dinner at ice rink from Sunday 8. November at Sonne Küsnacht. Manuel Baur was interviewed by Radio 24 on 20/11/2013 and recommended us for a “hot night out”. A special dining experience for you and your guests!